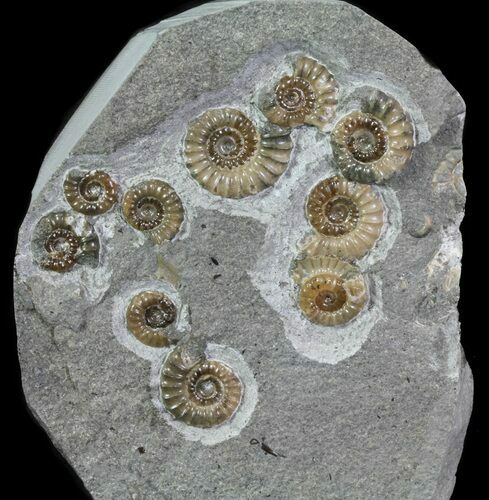 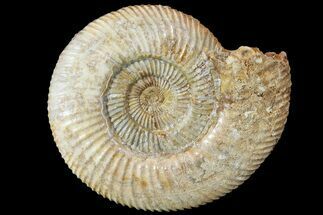 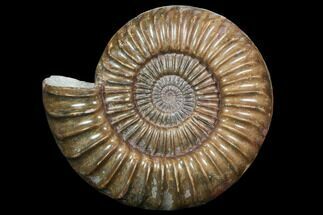 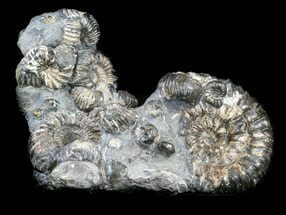 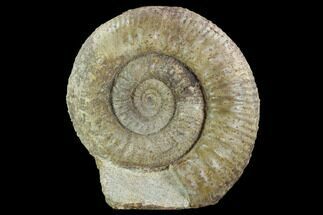 This is a beautiful cluster of agatized, Promicroceras planicosta ammonites from the Lyme Regis region of England. 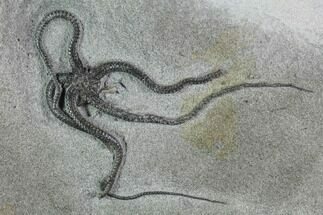 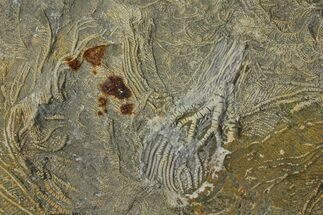 They arealmost translucent and has been nicely prepared so that it displays very nicely in a slab of limestone. 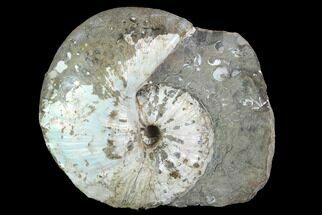 The base has been cut flat so that it stands up nicely on a hard surface. 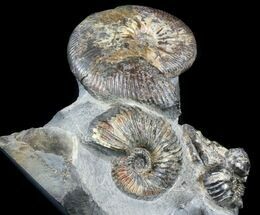 The entire piece is 4.5" tall with the largest ammonite being .9" across. 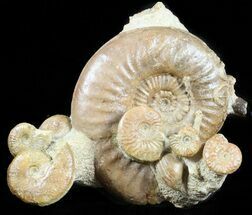 4.5" Tall, 3.6" wide, largest ammonite .9"